Desc: Landstrom's Black Hills Gold Sterling Silver bangle bracelet. 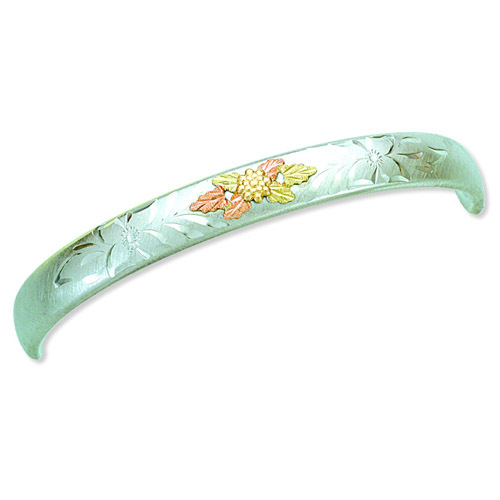 The bracelet has floral engraving along the length. At the apex is rose and green gold leaves design. This bracelet is made in the United States of America.